Mozambique is located on the South Eastern part of Africa, and its capital Maputo is established on the South, near the border with South Africa. 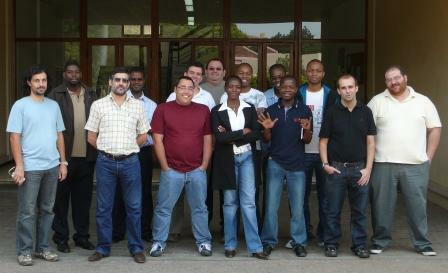 The 6DEPLOY Mozambique IPv6 Workshop was a joint effort in order to raise awareness about IPv6 in Mozambique's Internet Service Provider and Academic communities. 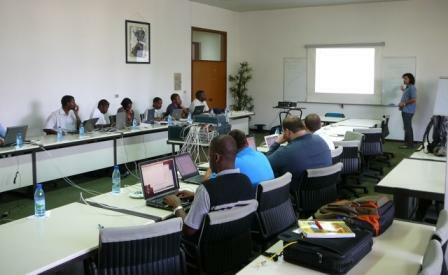 This IPv6 training was attended by 16 local systems and network administrators. According to feedback questionnaires received, the event was very successful. In order to achieve this, all the preparatory work was key: a correct choice of attendees, the provided training environment, and the training program customization (performed by the trainers) focused on local needs. A local testbed setup, composed by 6 routers and 2 switches (provided by the local organiser and GOVNET) was built. Internet connectivity was kindly provided by TVCABO Mozambique. For the first time, a 6DEPLOY Workshop was 100% based on the Portuguese languague. 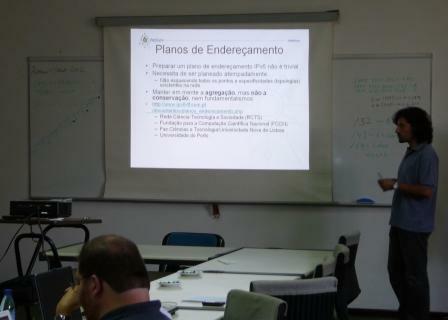 The presentations were delivered in the local country's native language, and Hands-On Labs were also adapted to the available resources and Portuguese. The organizations represented were TDM (tdm.mz), TVCABO (tvcabo.co.mz), TELEDATA (teledata.mz), MCEL (mcel.co.mz), SATCOM (satcom.co.mz), VIRCONN (virconn.com), ISCTEM (isctem.ac.mz), GOVNET (govnet.gov.mz) and UEM (uem.mz). Pedro Lorga (FCCN) and Carlos Friaças (FCCN) members of the 6DEPLOY project, together with Mr.António Godinho (Mozambique Internet Exchange and ccTLD .MZ Manager) lead the training sessions. A report of the workshop can be found at: D1.4 Report from the 3rd workshop.